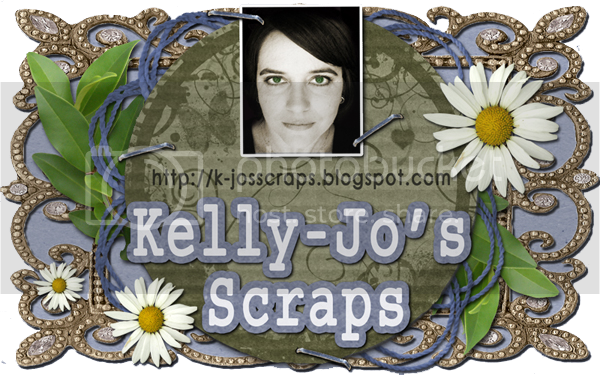 Kelly-Jo's Scraps: Kids In The Kitchen - and a freebie! Kids In The Kitchen - and a freebie! I am loving my latest creation. For this one I got my drawing tablet dusted off and went for it. Kids in the Kitchen is the result, featuring the most gorgeous clipart and a yummy chocolate icing alpha. To top it off there is over 30 word art including labels to finish off your pages to perfection. I chose a colour pallete of creams, chocolate, teals and a lucious red. The kit is prefect for scrapping the photos of your little ones helping you in the kitchen. Also one of my CT girls is making up a recipe book with it to have as a gift at Christmas time. The stickers/clipart print beautifully as does the papers...so you can bring it into your every day scrapping and hybrid projects. You can get the main kit now at Angel baby Scraps for only $3 for the next 2 weeks. There is also an add-on you will want to add to your cart you can get that HERE for only $2. Plus if you are like me and just adore alphas/fonts then make sure to add the extra alphas to your cart too....only $1.50 for 3 of them! Just have a look at all those cute stickers.....they cluster beautifully! The MUST HAVE add-on...aren't the kids adorable??? Check out the gorgeous patterns on the papers....my fav is the cupcake one. To top it all off I have a small freebie for you...a cluster frame (pre-shadowed) to speed up you first layout. You can download this in store HERE with a direct download....no waiting and you don't need to register or log in to snag it....just click on the download button and that's it! Now head over to Courtney's Digiscrappin' for another freebie with the kit and be sure to check out Craft Crave ang CBH for more freebies. That is one VERY IMPRESSIVE range of products Kelly-Jo!! This kit looks very great! Thanks for the pretty free cluster. thanks so much for this uber cute frame! This looks like a really sweet (pardon the pun) kit. Thanks for the cluster freebie - your new kit looks fantastic!